Sitting on one of the larger lots in Magnolia Lakes subdivision is this pristine and spacious 3 bed 2 bath home. Open floor plan features high ceilings, upgraded wood flooring, designated computer desk area, covered patio and so much more. The main living area is open to kitchen and dining room making it a great space to entertain. The kitchen features 3 cm slab granite, lots of expresso cabinets, stainless appliances: dishwasher, microwave hood vent and gas stove. The master bedroom is perfect for king size furnishings and has its own private en-suite bath with dual vanity, large soaking tub, separate shower, and a walk-in closet. The additional 2 bedrooms are nicely sized and share the hall bath. Other amenities: blinds in all windows, radiant barrier decking in attic, low E-3 double insulated windows, tankless water heater, enclosed 2 car garage and more! 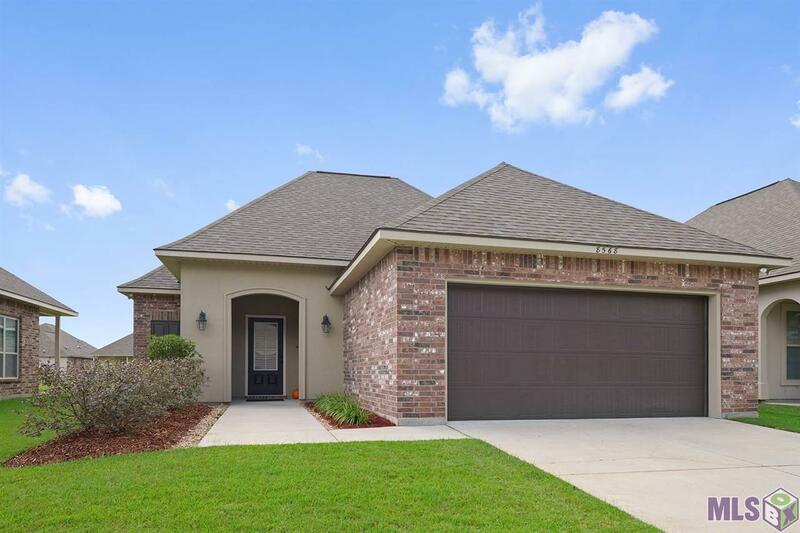 Convenient to LSU, hospitals, Mall of Louisiana, as well as both I-10 and I-12. Located in Flood Zone X and flood insurance is not required. Active homeownerâs association with community FB page. Check out the two ponds and the walking trails. Schedule your private showing today.